When the cards start burning his hands, every trick becomes a new challenge. Do you enjoy close up magic? You will love playing against him! Come and have fun in an interactive show. 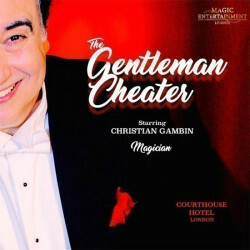 The cheater, an enriching experience, but he never loses.